Home – Watching, keeping and breeding Estrildid Finches (Estrildidae), like waxbills, firefinches, etc. 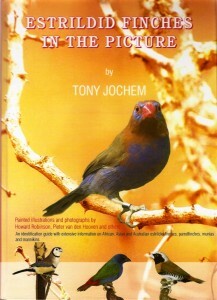 I am Tony Jochem from The Netherlands, bird watcher, keeper and breeder of Estrildid Finches and author of two books about these nice little birds. Estrildids are, in my opinion, the most beautiful finches on earth. They live in Africa, South East Asia, Oceania and Australia. 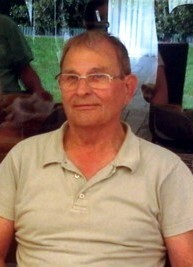 In many countries it is prohibited to import birds. This is the case for most European countries. To keep them for the aviculture, it is necessary to breed them in captivity. Many species are already lost because breeding them is difficult. In the past I have bred dozens of these beautiful intelligent birds of many different species, like: Granatina’s, Cordon bleus, Amandavas, Firefinches, Waxbills, Twinspots, Pytilias, Seedcrackers, Firetails, Grasfinches, Parrotfinches and Lonchuras. 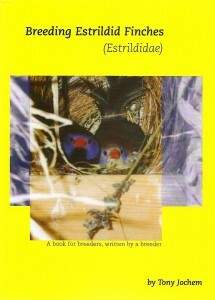 This book provides extensive information about keeping and breeding Astrilds, Amadines, Parrot finches and Lonchuras. It was written for breeders, by a breeder and has about 120 full color pictures of many Estrildid Finches and the accommodation and equipment of the birdhouse of the author.